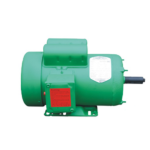 NEMA AC Motor Solutions for air compressor, augers, farm duty, general purpose, special purpose, premium efficiency, and extra high efficiency oil well design applications. 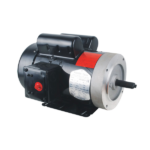 Motors are available in 1PH & 3PH from 1/3 (0.33) horsepower (HP), 246 watt in NEMA 56 frame, 5.7″ (145mm) Dia. to 300 horsepower (HP), 22.3Kw in NEMA 449TS frame, 23.8” (604mm) frame Dia. at 115VAC, 208VAC, 230VAC, 460VAC & 796VAC. RPM ranges from 825 RPM, 900 RPM, 1100 to 1135 RPM, 1200 RPM, 1800 RPM & 3600 RPM to match NEMA mounting specs. 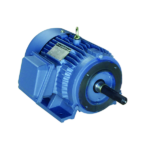 They are manufactured by Power Tech Electric Motors (PTEM), an ISO 9001 rated factory and have a 2 Year Manufacturer’s Limited Warranty against material and workmanship, plus they carry CSA, CE and CCC rating.. Cross-reference model info is included on many designs. 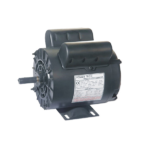 Air Compressor OEM Special Replacement Motors The 2 to 5 HP motors are designed for replacing OEM air compressor motors where "SPL" type electric motors are typically used. These are generally used for home or small shops applications. 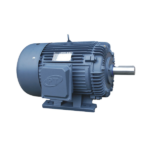 They are powerful and can also may be used/suitable for other applications having similar loads such as pumps, conveyors, fans, blowers and coolers. 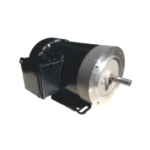 They are manufactured by Power Tech Electric Motors (PTEM), an ISO 9001 factory and have a 2 Year Manufacturer’s Limited Warranty plus they carry CSA, CE and CCC rating.